In the year 2016, there were 1,561 traffic related deaths in the State of Georgia. That number is approaching a similar rate for 2017. There were also tens of thousands of Georgia commuters who were seriously injured in automobile wrecks during this same period of time. Studies show that one of the most deadly, if not in fact the most deadly stretch of road in our State, is Interstate 285 surrounding the City of Atlanta. 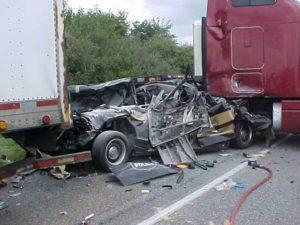 Being involved in automobile collisions, car wrecks, or suffering a truck injury is common in the metro area. It is best to consult with a knowledgeable and experienced attorney or lawyer to help with your case. Being located in Roswell, Georgia, we represent clients in Alpharetta, Atlanta, Sandy Springs, and throughout the State. At Tommy Lee Maddox, PC, we have seen first-hand the toll that an accident can take on you and your loved ones. Having spent over three decades representing people who have been injured or who have lost loved ones because of the carelessness of others, we are confident that we will get you the compensation that you deserve. At the same time, as a family-owned and family-operated law firm, we strive to treat our clients with respect, compassion and empathy — just like we would a member of our family. Although we have successfully represented thousands of clients and recovered large sums of damages on their behalf, we have not lost sight of the fact that each client’s case is unique and important, regardless of its size. There are many types of injuries that commonly result from car accidents. They range from minor bumps and bruises to serious, catastrophic injuries such as paralysis or death. No part of the body is immune from injury in a car accident; accident victims can suffer injuries to the brain and head, including concussion or traumatic brain injury, and to the neck and spine, like whiplash or a disc bulge or herniation. Automobile accident victims can also suffer from psychological injuries and mental distress, which can be as painful and debilitating as a broken bone. Similar injuries occur when colliding with a tractor trailer, operating a motorcycle or bicycle, or occasionally when walking as a pedestrian. There are many things to keep in mind when you are involved in an automobile collision. If you are injured in Georgia because of the negligence of someone else, please give us a call.